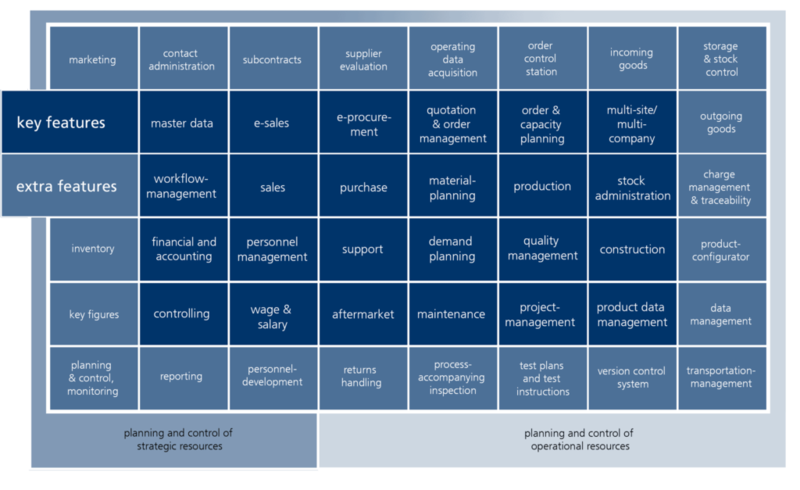 Which ERP system fits the requirements of your company? Every company has an individual requirements profile for the application of an ERP system. ERP systems offer a variety of functions, modules and technologies to support the business processes in a company. The challenge is to match your individual requirements with the functional scope of ERP systems. We support companies before making a selection decision by identifying and documenting the relevant requirements for a new ERP system together with our customers. With the Selection Tool of ERP LOGISTICS you can compare ERP systems directly online based on your individual requirement profile.